I was sad to learn that the American poet, Mary Oliver, died in January. Her poetry was remarkable in its simplicity and truthfulness. Wild Geese, published in 1986, is one of her most famous poems. Wild Geese illustrates her deep connection to the natural world. She lived simply to pursue her life’s work of writing poetry. 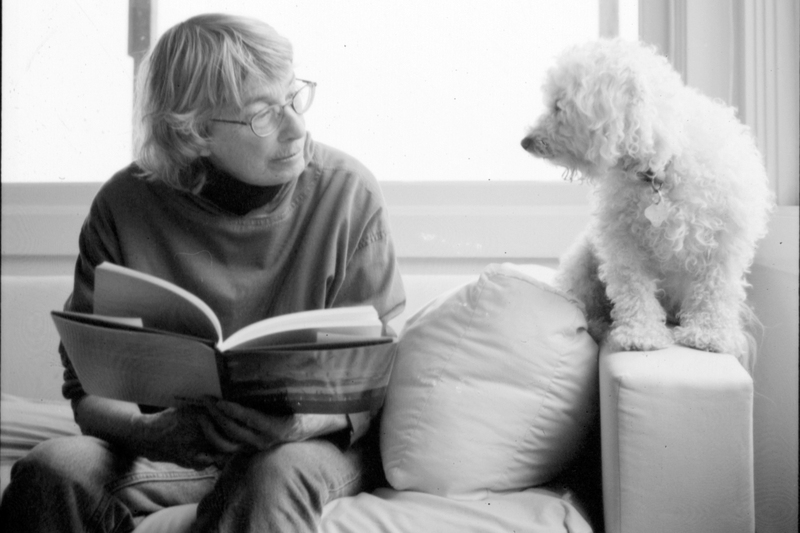 Despite many accolades earned, including The National Book Award and the Pulitzer Prize, Mary Oliver shunned the limelight. By all accounts, she was most comfortable in the woods. after a night of rain. Click here for a rare interview, a 2015 conversation between Krista Tippett and Mary Oliver for On Being. Whether or not you are familiar with her poetry, it’s a fascinating discussion of a life wonderfully lived. This entry was posted in Krista Tippett, Mary Oliver, On Being, poetry and tagged Krista Tippett, Mary Oliver, On Being, poetry on February 5, 2019 by terryvatrt. I too am a huge Mary Oliver fan and coincidentally I just listened to that interview with Krista Tippet yesterday and thought of you and your Instagram post , where I learned she had passed away. I pulled out my copy of “A Thousand Mornings”, which I bought in Provincetown and it’s now sitting promintly on my coffee table to pursue and savour for the next while. Excuse me. I have work to do. Thanks, Kathryn. It’s a great line, I agree 🙂 Won’t you enjoy that volume of poetry? Enjoy! In 2018 I attended an end of life ceremony—a lovely one for an extraordinarily kind, gracious woman, at which her granddaughter read “Wild Geese” in honour of her grandmother. Apparently the two of them had watched the geese together just months before the granny died. It was a very moving choice of poem and tender reading. Thanks for the post. It does me good to think about art and to remember the ceremony. Thanks for sharing this lovely story, Diane. It’s wonderful that you read, and enjoy the posts.